"With this salt I am shaking the foundations of the (British) Empire." So said the Mahatma. 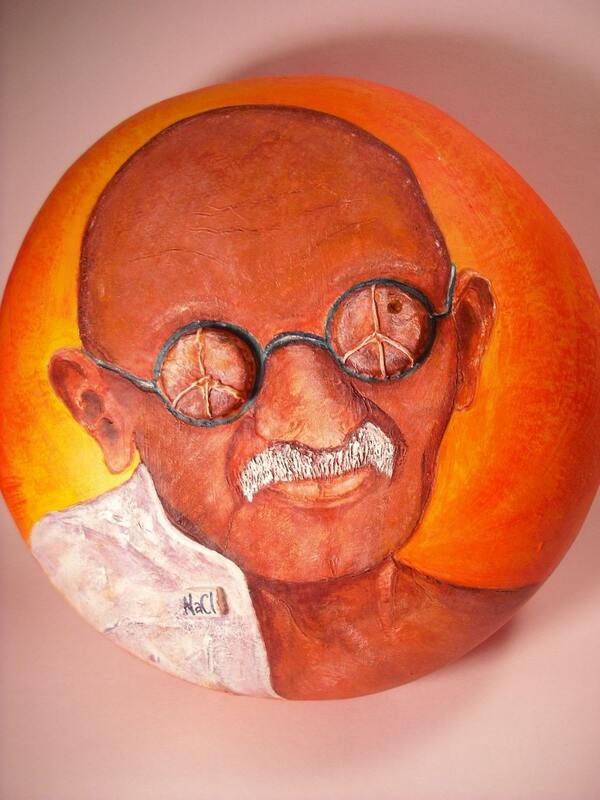 The icon of peaceful resistance views the world through peace symbol bottle cap lenses. 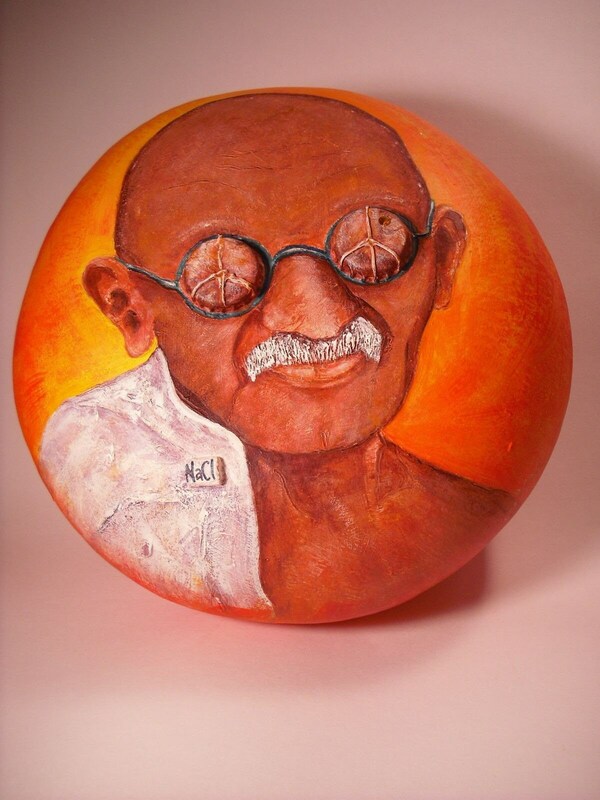 Orange was his favorite color. Mine too! Orange is full of symbolism (happiness, love, kinship) and just plain uplifting. 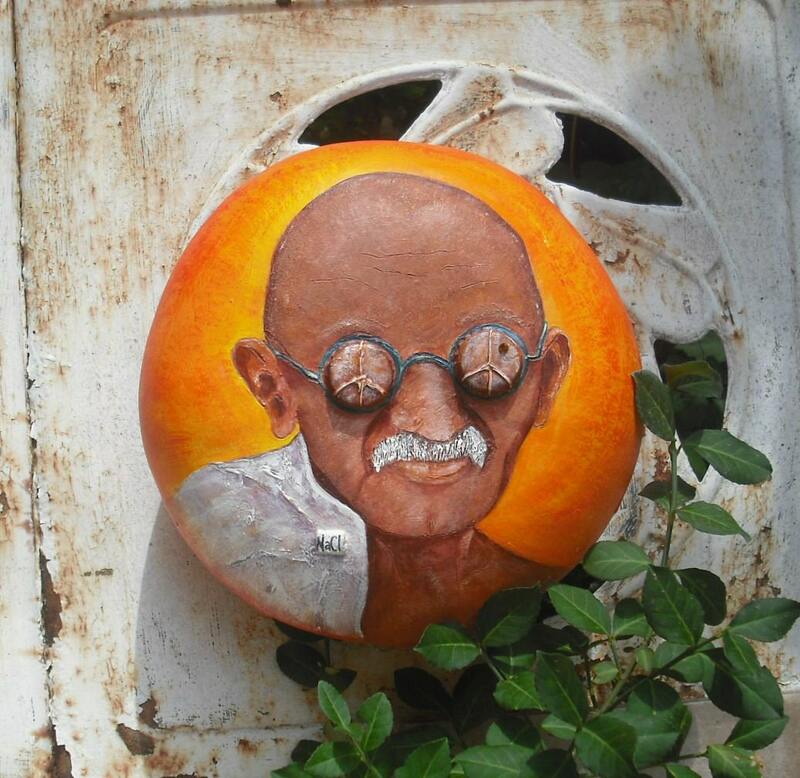 The salt quote is carved on the back of the gourd. 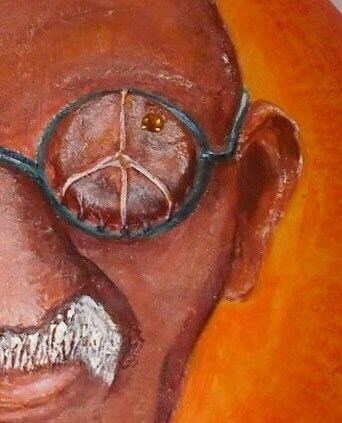 The Mahatma wears a pin with NaCl (chemistry speak for salt) on it. An amber rhinestone sparkles from the right eye when light strikes it just so. Gourd is approximately 8.5 inches across and 4 inches front to back. USA priority mail/insurance included. 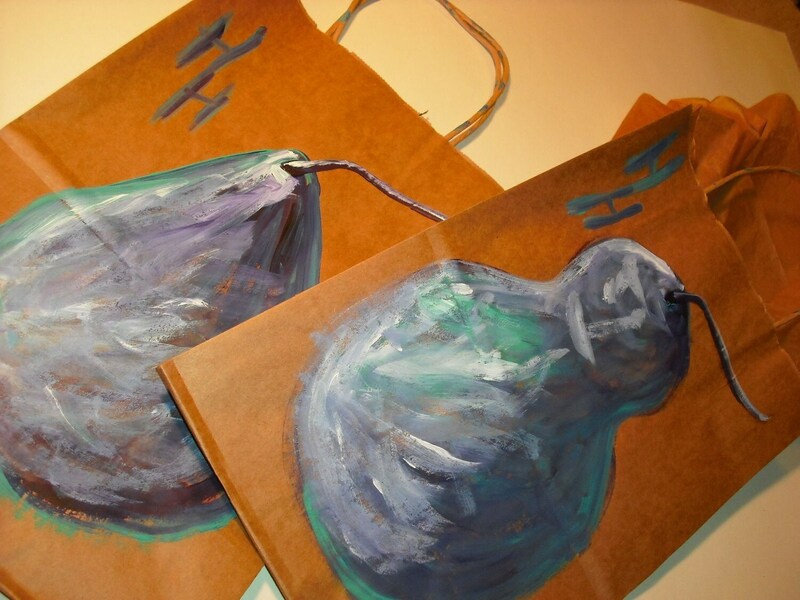 If this is a gift, let me know via check out message, and I'll include at no extra cost, a hand-painted post-consumer (recycled) gift bag with sturdy handles, post-consumer tissue and a gourd sheet explaining humankind's relationship with gourds over time.